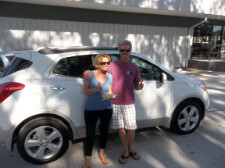 By far the easiest, most honest and stress free car buying experience! 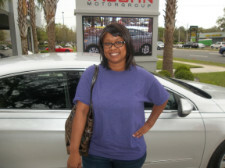 Terry was extremely helpful and patient with me during the process, making sure that I was happy with my purchase. Absolutely no pressure! 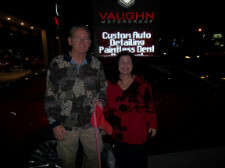 I would buy from Vaughn Motorgroup again and highly recommend them for your next auto purchase! Thank you Terry for a great experience! 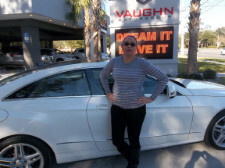 I'm Very Impressed with Vaughn Motorgroup's professionalism and fantastic service. I'm very happy I bought my car from you and will highly recommend your dealership! Thank you Terry Cokeing for an enjoyable car shopping & buying experience. The car shopping process is one of my least favorite things to do. 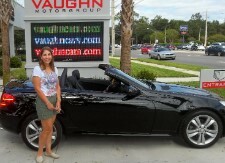 But thanks to the guys at Vaughn Motor Group, I actually looked forward to returning to the showroom. And now I'm the proud owner of my first Mercedes-Benz! ?? Thanks Vaughn!! 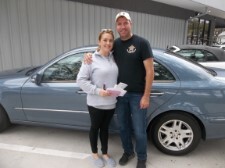 When I called about a Mercedes that I was interested in, I expected your average buzzard salesman but I was beyond blessed in having the privilege of speaking with Mr. Terry Cokeing. He continued to bust his chops until he got the price right where I needed it. I drove 3 hours to buy my Benz and after meeting Terry, I would easily drive another 3 just to buy from him in the future! Highly recommend this group of outstanding people! Thanks Terry!!! I have to say I dreaded looking for a car because of the sales people. I had been to other dealers and was not looking forward to it. Steve was our sales person and boy did I change my mind. He was so helpful and I felt no pressure from him. He answered all my questions and was very professional. He certainly made my buying experience fun and pleasurable. When I buy a 2nd car I will go back to this dealership and visit Steve. Thank you!! 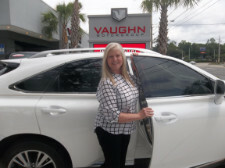 Vaughn Motorgroup made car buying an easy experience for me. I couldn't find the car or the price I was looking for in Tallahassee so I decided to search the internet. 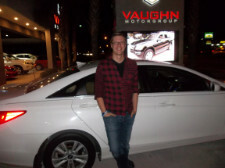 I found the exact car I was searching for on Vaughn Motorgroup's website and at a reasonable price. I contacted the dealership in regards to the car and someone responded almost immediately. I worked with Terry who was very helpful and professional. Since most of my work days are spent in front of a computer, communicating through email is most convenient for me and Terry had no problems with that. 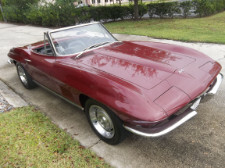 Once I was ready to purchase, I drove from Tallahassee to Jacksonville to get the car. Everyone was extremely professional and helpful! All the paperwork was ready when I arrived and I was in and out of there in no time. I Absolutely Love My Car and I would recommend this dealership to anyone looking to buy a quality car!